i was still using this phone right now. i think it's my LUCKY CHARM because from the previous work i had, 3310 is my phone. and now that im working at BPO im still have it. Just epic :P !! Has non known CPU speed haha!!. I blasted this beast in to the wall when I was bored. Only a small crack on the screen after 14 years. This baby can be the father of SGS2. I think the price is free. Even no screen protector!! This phone is full of surprises! This phone is better than SGS III. Best Nokia phone so far! Nuff said. Simply..It is a myth !! This phone is absolutely fantastic, durable, strong, great battery life......... This phone is amazing, in south africa this phone is discontinued but still mentioned how good it was to own a phone like that. The "Nokia" 3310 can "remember" 20 dialed, 10 recived, 10 missed calls, not 8 dialed, 8 recived, 8 missed. And is one of the best mobile (celular) phones ever made! I still use 2. Some still uses the old 3310? Arguably the best phone ever made! 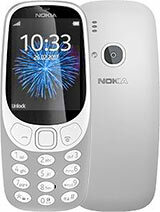 I am an Android freak and not the biggest Nokia fan but started using this phone again a while ago with an extra SIM on which I have free minutes. Even though its battery is about 11 years old, it still keeps several days on a single charge. After 12 years, I still say: "Congrats Nokia on a good phone!" there are more but i cant think of them now.